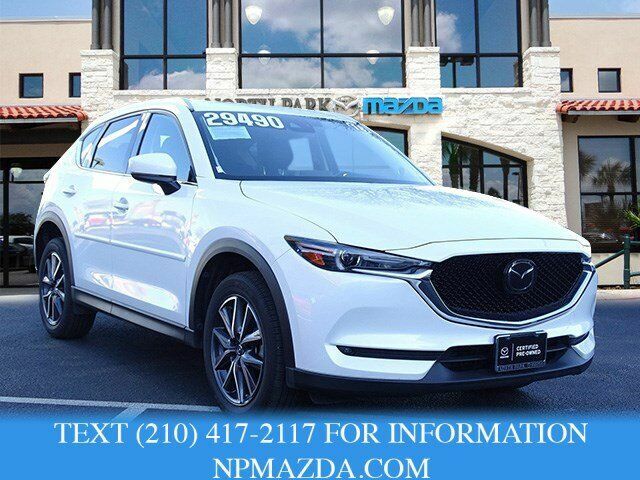 Mazda Certified, CARFAX 1-Owner, LOW MILES - 5,104! FUEL EFFICIENT 30 MPG Hwy/24 MPG City! Sunroof, Heated Leather Seats, NAV, Back-Up Camera, Premium Sound System, Satellite Radio, Alloy Wheels, ROOF RACK SIDE RAILS SEE MORE! Leather Seats, Navigation, Sunroof, All Wheel Drive, Power Liftgate, Heated Driver Seat, Back-Up Camera, Premium Sound System, Satellite Radio, iPod/MP3 Input, Onboard Communications System, Aluminum Wheels, Keyless Start, Dual Zone A/C, Lane Keeping Assist. Rear Spoiler, MP3 Player, Remote Trunk Release, Privacy Glass, Keyless Entry.